Although we buy used cars for cash in Honolulu, the folks at CarMark Hawaii are always interested in what’s in the future for automobiles and we like to keep on top of Hawaii car news. Each year, new models come out, many of them looking much the same as prior years’ models, while others look drastically different. Not only are looks changing, technology is also playing a very big role in the manufacturing of vehicles, from those that can park themselves to those with built-in wifi. The 2016 Cadillac CTS-V. Estimated to arrive about mid-2015, this beauty will start around $75,000. The 2015 Chrysler 200. Replacing the Sebring and Dodge Avenger, the 2015 is expected to roll out this spring and will be a strong competitor for the Camry, but with a lower base cost of just over $22,000. The 2016 Ford Mustang Shelby GT350. Competing with several Chevy Camaro models and the Dodge Challenger SRT, the 2016 version will debut at approximately $50,000. The 2018 Nissan IDx. Designed to get young adults more interested in buying cars than Snapchatting, the 2018 Nissan IDx is special simply because Nissan wants to build it. Super sharp, with an intimidating appearance that is guaranteed to turn heads. What about trucks? Two have captured the attention of consumers already, the 2015 Ford F-150 and the 2015 Chevrolet Colorado. The 2015 Chevrolet Colorado was the only small pickup that made the list of cars worth waiting for. Super-sharp, expect a base price of about $20,000. The 2015 Ford F-150. Always a winner, this pickup offers an aluminum cab and bed that makes it lighter, thus more fuel efficient. Good looking as always, this truck comes with a wide price range, depending on options. These are just a few of the vehicles that are highly anticipated this year, and in coming years. If you’re thinking of buying a new car, we suggest you check these out! Looking to sell your used truck, car, or SUV? 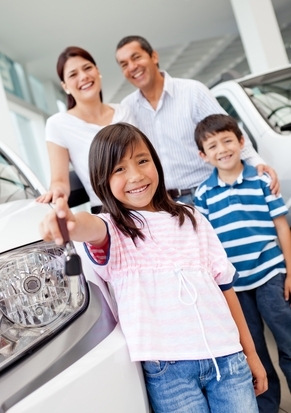 At CarMark Hawaii, we buy used cars and make the process stress-free. Give us a call, or come see our friendly staff today.